Hosted by MarketsandMarkets, the world’s largest revenue impact research and advisory firm focused on high-growth niche markets, Real-World Data and Life Science Analytics Congress will focus on how to leverage combined traditional data sets and real-world evidence (RWE) to achieve clinical development. The 21st Century Cures Act, enacted in December 2016, requires the FDA to incorporate RWE into its programs, despite the lack of education and experience surrounding this advanced data practice. As more healthcare organizations embrace value-based payments, they are turning to RWE to diminish inefficiencies and improve clinical performance. Drug manufacturers and clinicians are also rapidly adopting RWE and realizing the new-age insights RWE can reveal. That being said, both fields are still facing immense challenges using these new-age analytics and selecting the proper technology to discover meaningful evidence. The two-day event invites professionals from all areas of these diverse practices to discuss, brainstorm and learn with one another to propel RWE use into the future while reviewing advancements in the field. Topics covered range from the different uses/limitations of RWE to health economics and outcomes research, machine learning algorithms, data security and privacy and many more. Christopher Boone, Vice President, Real World Data & Analytics Center of Excellence, Patient & Health Impact, Pfizer, Inc.
Sara Eapen, VP of Science, Aetion, Inc.
Kevin Haynes, Director of Clinical Epidemiology, HealthCore, Inc.
Vijay Mohan, VP, Strategy, Products and Customer Success, RxDataScience, Inc.
Nneka Onwudiwe, Senior Scientific Reviewer, FDA and Founder and CEO, PECA LLC. Eric Schultz, President, Cota, Inc.
Robert Zambon, Real World Innovation Lead, Janssen Scientific Affairs, LLC. This event will be an invaluable educational and networking opportunity for professionals in healthcare, pharmaceutical, research and insurance practices including: executives, researchers, analysts, scientists, program directors, clinicians and physicians, payers and regulators, insurance companies and research institutes. To learn more information about the Real-World Data and Life Science Analytics Congress or to register, visit here. MarketsandMarkets™ is the world’s largest revenue impact research and advisory firm helping more than 80 percent of Fortune 2000 companies identify new high-growth and niche revenue opportunities. 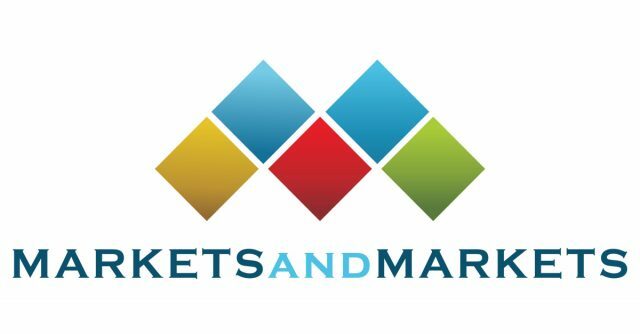 In the face of constant technology innovation and market disruption, MarketsandMarkets helps organizations plan and operationalize their future revenue mix decisions by identifying over 30,000 high-growth opportunities ranging from $1B to $500B across over 90 industries and markets. Organizations choose MarketsandMarkets to stay ahead of the curve and accelerate their revenue decisions and implementations by 6 – 12 months, giving them a unique first-mover innovation advantage. Its revenue impact methodology provides actionable and quantifiable insights on converged, granular and connected market eco-systems that result from disruptive technologies and high-growth markets. MarketsandMarkets provides an extended lens on not only what will impact its client’s revenue but also what will impact their customers’ revenues, continually uncovering latent opportunities. Serving C-level executives in functions such as strategy, marketing, sales, R&D, product, and M&A across all major B2B industries, MarketsandMarkets brings exclusive high-growth markets intelligence generated by over 850 SMEs and analysts along with its proprietary revenue impact platform, Knowledge Store, to support decision making. For more information, please visit here or follow on Twitter.